Trampolining! 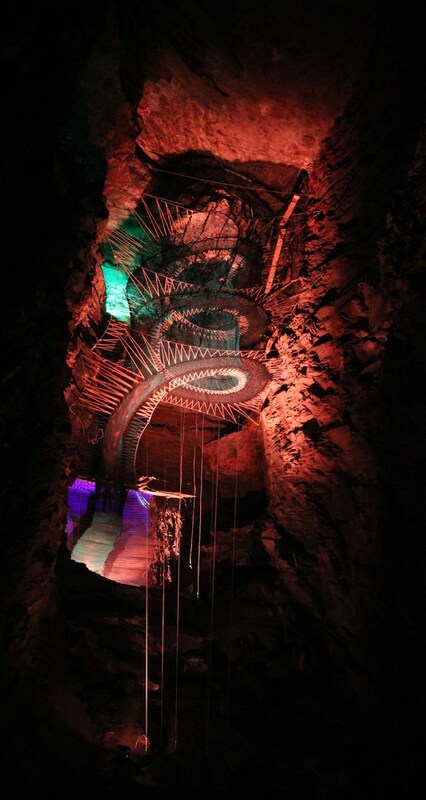 Caves! 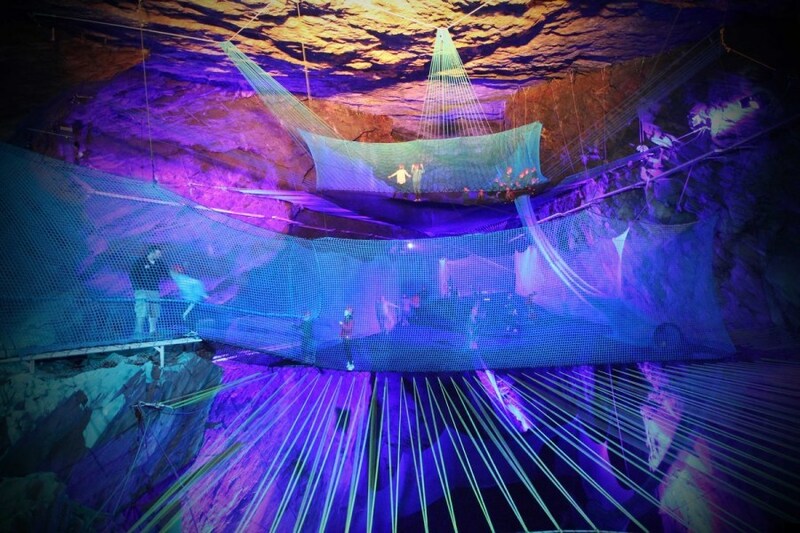 Trampolining in caves! That’s right – don your crash helmet and get ready for probably the most fun it's possible to have in the deepest bowels of the Earth. 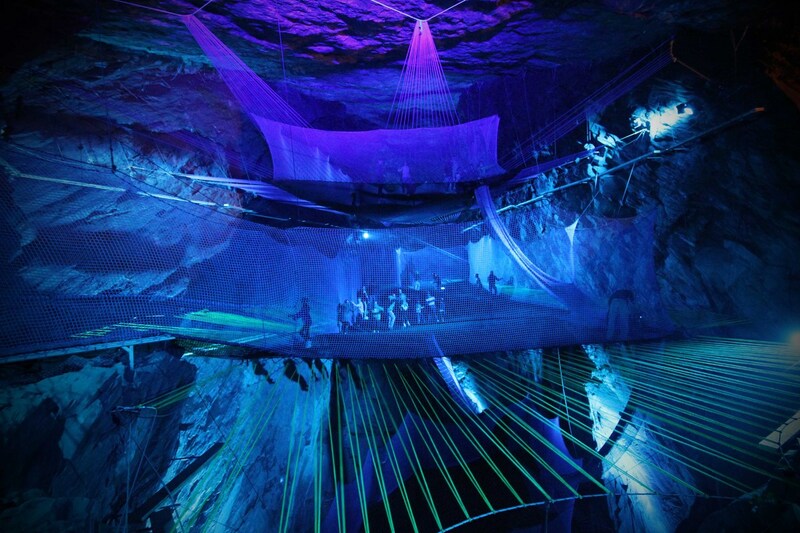 Blaenau Ffestiniog’s slate mine in North Wales has been transformed into a trampoline park for summer and as these pictures reveal, it’s definitely more nightclub than nightmare. 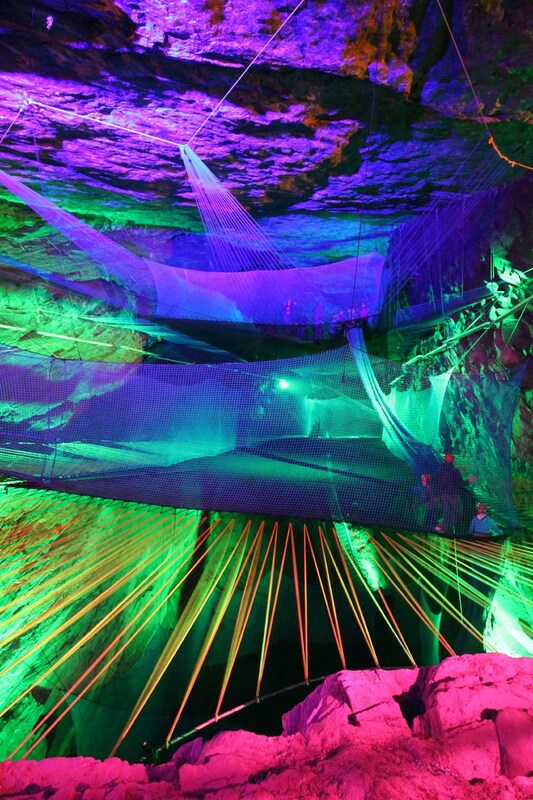 The cavern is twice the size of St Paul’s Cathedral, contains three mammoth trampolines and a 60ft slide. 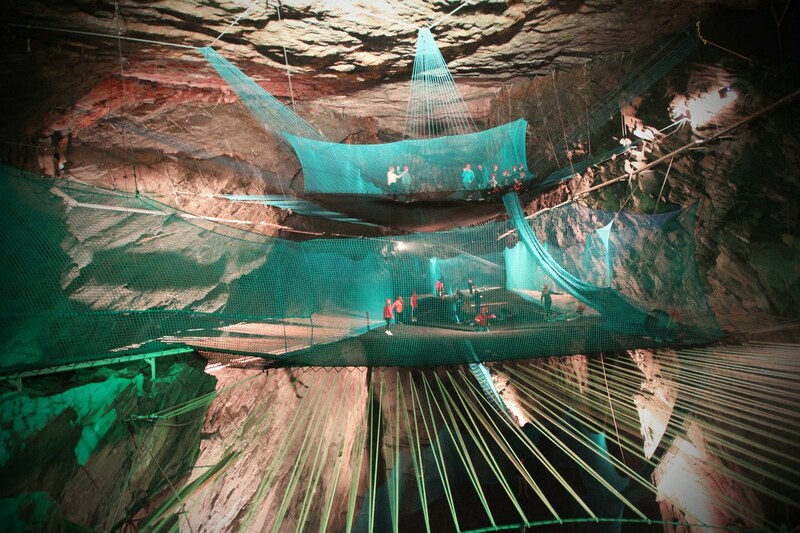 yeah so not only would I have to worry about claustrophobia and one of the nets splitting and dying but bat poo, spiders and other creepy crawlies......nothankyouverymuch.